A lavish palette of lavender, blush, vibrant pink and scarlet is a beautiful basis for this boho luxe inspired celebration. This outdoor reception styled shoot by Harper & Co. was first featured in the second edition of the Modern Wedding Styling Handbook and is filled with gorgeous details that make our hearts flutter! “I love the idea of contradictions,” says stylist Nadalie. “I wanted everything to be soft and pretty, yet at the same time refined.” The dreamy aesthetic that infuses this celebration is created through a careful combination of wild blooms and luxe décor. A tulle runner, antique plates, silver candle holders and vases add a touch of lavish style, while free spirited florals combining premium roses, lilac, snowball, cabiosa and carnations with gum and jasmine foliage create a sense of boho style. Ultimately, this is the essence of spring: the juxtaposition of classic and contemporary, refined and raw, luxe and wild. What better place for love to bloom than in this magical setting. 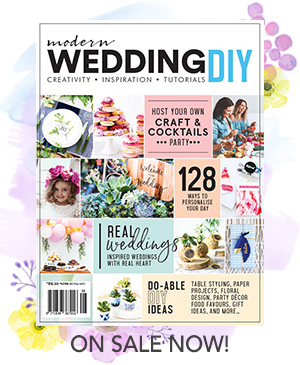 Find more wedding styling inspiration in the latest edition of Modern Wedding Styling Handbook available in selected newsagents now!